Creating and holding ceremonies enables us to honour and celebrate important personal events and significant moments in the greater cycles of life. Ceremonies create space and time to gather with friends and family, to bear witness and celebrate together, and many provide opportunities to strengthen community. Ceremony and Ritual have been an important part of human life since time immemorial. At Heaven & Earth, we have experience of many kinds and styles of ceremony. We invite you to join us in many of our ceremonies. We are also available to help you plan, organise and celebrate your ceremony, according to your own needs and wishes. We respect all religions, everyone's personal spirituality including no spiritual beliefs, and are willing to work with you as you choose. Our choice is an earth-based spirituality, and this thread runs through all our work. For us, ceremony acts as a bridge between the inner world of the soul and the outer world of our day-to-day lives. By consciously creating ceremony, we make time and space to honour Spirit; simultaneously we become aware of how Spirit permeates the physical, enabling us to remember our sacred connection with Mother Earth. The main thing that brought us and our work together was Astrological Ceremony. At special times, such as eclipses or significant planetary alignments, we often hold ceremony at places of power on the land. This combined Marcus' knowledge of Astrology - the Heaven bit! - sacred sites and Earth grids with Sue's knowledge of crystals and sacred ceremony and her love for the beautiful physical body of Mother Earth - the Earth bit! 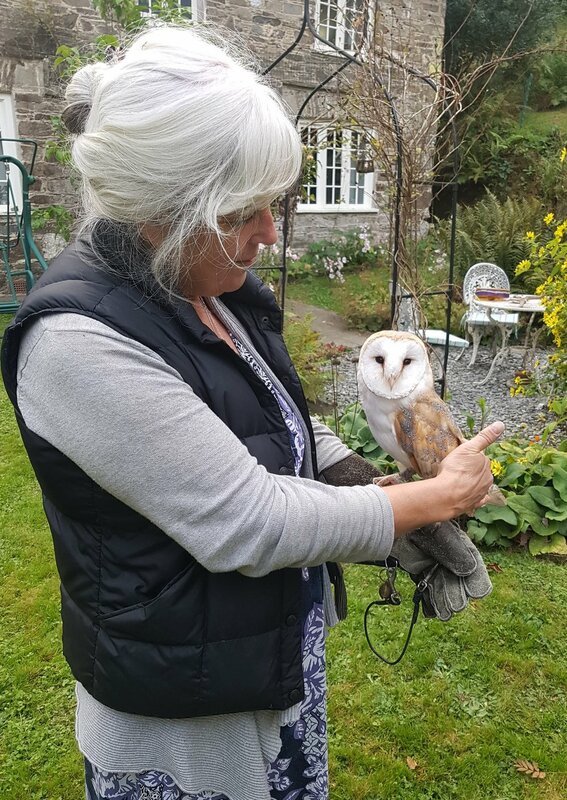 Since 2006, we have worked extensively at many beautiful and sacred places in our land, and have made Sacred Journeys with dedicated groups of people through Cornwall, England, Wales, Ireland, Scotland including the Hebrides, Orkneys and Shetland Isles, France, Germany, Denmark and as far away asAlaska and Hawaii. The photograph shows the ceremony for Winter Solstice 2012. You can see more images of our sacred ceremonies and journeys on our Gallery page. Over the next few years we will be making a series of 4 exciting journeys. The Wheel of the Year describes the annual journey of the Earth around the Sun. Wheel of the Year Ceremonies take place at intervals throughout the year, and the ceremonies honour and celebrate the changing dance of Earth and Sun. 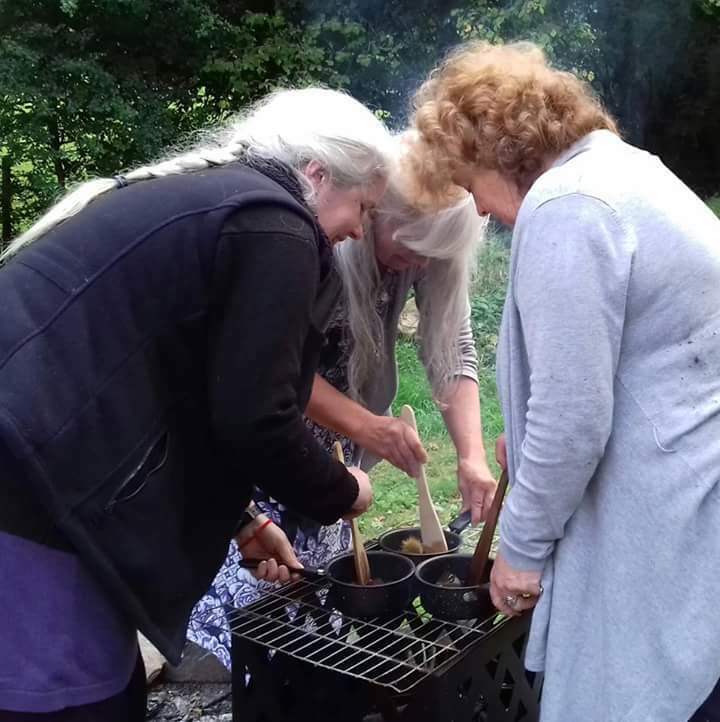 We have been celebrating the turning of the year, here in our Sacred Circle in Cornwall, for several years now. This is a powerful way of reconnecting with nature and the natural cycles of life. It can enable us to truly understand that we are a part of all life, and interconnected with all our brothers and sisters - human, animal, plant and mineral. Please click Wheel of the Year to read about what is happening in both Heaven and Earth at these times. We recently took a break to focus on physical work on the land and we have been creating a new and more accessible ceremony circle. We now invite you to join us at Samhain for a Crystal Labyrinth and Sacred Sound Ceremony. Please check the Diary for ceremony dates. We are all aware of the changing relationship between the Sun and the Earth through our experience of the seasons. But for many of us, the significance of the changing relationship between the Moon and the Earth has been forgotten. The Moon exerts a powerful influence on all of life on Earth. The effect on the waters of the Earth cannot be denied, with the power of changing tides clear to see. 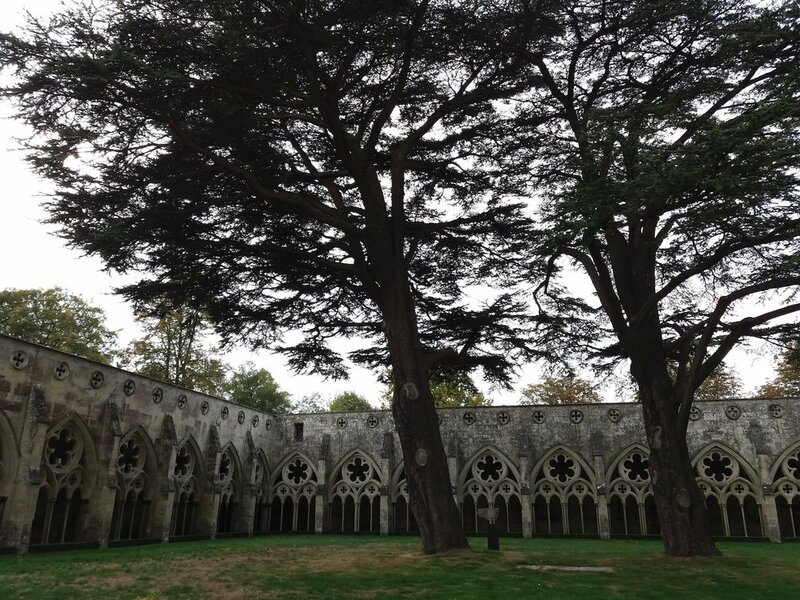 But the Moon's influence extends much further than that, and plant growth and all other living beings are affected, whether we are aware of it or not. Our lives have come to be measured by the 30/31 day months, and defined by the 'working week'. For many, the Moon Cycle is considered to have no impact or significance, though women have bodily reminders of the power and rhythms of the Moon. 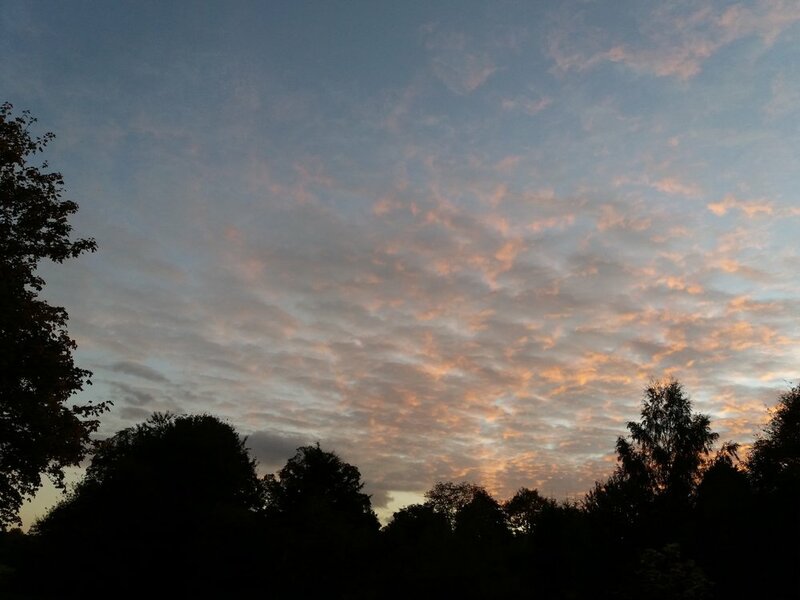 Working consciously with Moon Cycles can help us to reconnect with our natural bodily patterns and rhythms, restoring health, vitality, effectiveness - and productive gardens! 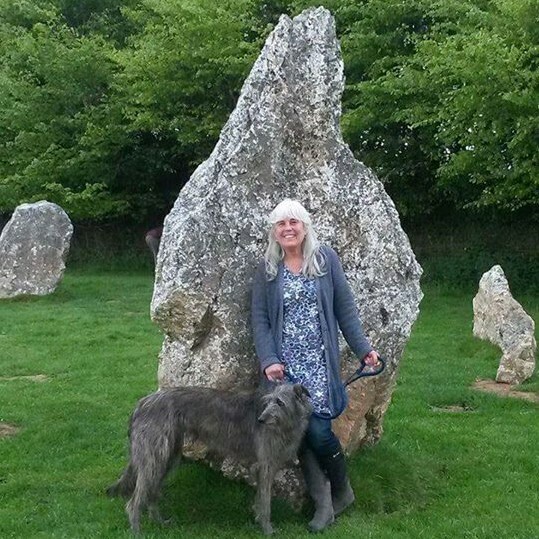 For several years, we visited Duloe Stone Circle on the night of the Full Moon, for meditation and ceremony, and the photograph shows Sue and Seren at the beautiful white quartz stones of Duloe. This cycle of work is now complete. We now share ceremony at the Crystal Barn and on the land at New and Full Moons. We are honoured to be invited to create personal ceremonies for individuals, couples, families and groups. Our work often calls for healing ceremonies and occasionally we are also inspired to create ceremony for specific events or purposes. 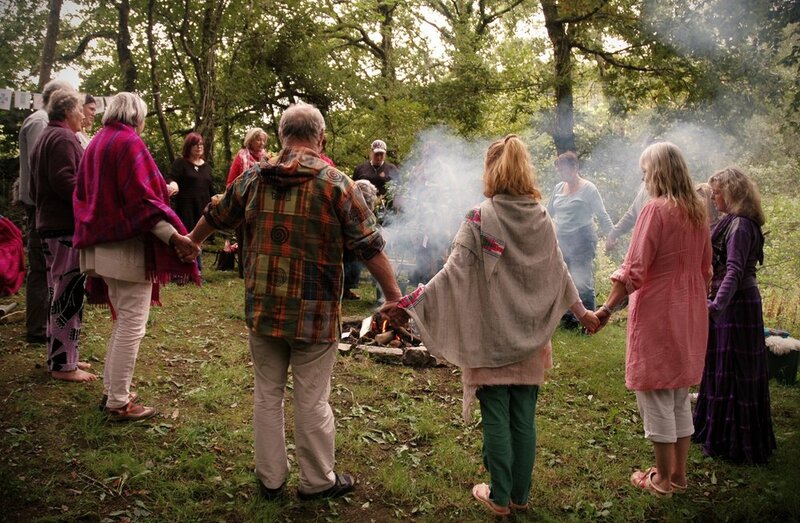 The photograph shows an image from a wonderful handfasting ceremony that was filled with love and below you can see a powerful altar from a ceremony to balance the feminine and masculine. Please check the Diary for any special events. We begin by meeting to discuss your needs, desires and wildest dreams and then work together to create the best possible outcome for your special day or event. Our involvement can vary from basic information and advice to full planning of your ceremony and acting as celebrant(s). If you would like to discuss your personal ceremony with us, please contact us and let us know what you are looking for.